Specializations: physical chemistry, electrochemistry, catalysis, Fuel cells and electrolysers, Carbon dioxide mitigation strategies, energy storage and conversion systems, renewable energy. Specializations: energy storage and conversion systems, renewable energy, economics of clean technologies. Smart grids. Specializations: Fundamental chemistry, analytical instrumentations, Laboratory quality management systems. 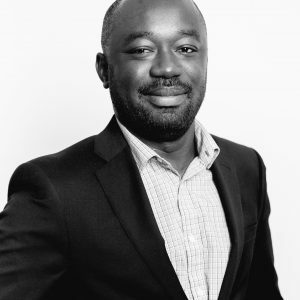 Dr.Addo is a skilled chemist with over 10 years of experience in fuel cell and electrolyser systems, CO2 conversion and utilization strategies, electrocatalysis, energy conversion and storage systems, analytical testing, and research design and development. These areas of technical expertise are essential for the successful completion of the commercialization milestones outlined by SeeO2 Energy. Dr. Addo is a friendly, detail-and results-oriented person with excellent interpersonal and communication skills, which has been a strong asset in moving SeeO2 forward so successfully. Dr. Addo, who is currently the president and CEO of SeeO2 Energy, is an important member of this venture due to his strong management and leadership skills that he has developed over the years as both a research scientist and now as a quality assurance manager. As the president, he has had to establish good relationships with all the shareholders, personally signing and delivering their shareholder certificates. Dr. Addo is also a member of SeeO2’s Board of Directors, where his strong contributions are key to the company’s future. As a new entrepreneur, Dr. Addo is very enthusiastic about learning new subject matter, especially in the business and entrepreneur world, and he has also demonstrated the ability to be very coachable. Furthermore, Dr. Addo has an extensive technical expertise in carbon dioxide conversion technologies to clean and useful everyday use products. Dr Addo’s technical expertise is essential for the development of SeeO2 technology platform prototypes.